Posted June 9th, 2011 at 2:52 pm. 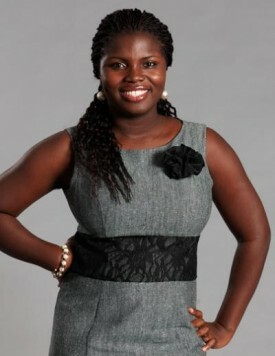 The Echoing Green Foundation, which supports emerging visionaries of social change from around the world, has awarded a 2011 Echoing Green Fellowship to Deborah Ahenkorah ’10 of Accra, Ghana. Ahenkorah’s Golden Baobab Prize, an award for children’s literature by and about Africans, is one of fifteen projects Echoing Green has selected for the fellowship in 2011. Ahenkorah began developing the Golden Baobab Prize as a Bryn Mawr undergraduate. Echoing Green support has been critical to the development of some of the world’s most powerful social-change organizations, including Teach for America, City Year, SKS Microfinance. An early recipient of the fellowship was the Global Fund for Children, founded by Bryn Mawr alumna Maya Ajmera ’89, who has served as a mentor to Ahenkorah. The Golden Baobab grew out of Ahenkorah’s work as a student activist on Bryn Mawr’s campus. Early in her college career, she organized a book drive to help supply African libraries. Campus response was overwhelming, and she founded Project Educate in Africa, a student organization that raised funds to support educational initiatives in Africa and continued to collect books for libraries on the continent. As she looked over a shipment of books, Ahenkorah noticed that nearly all of them were by Western authors, and she realized that many of them were the same books she had read as a child. “They were wonderful books and I loved them, but I wished there were more examples for African children of books by and about Africans,” she said. She began to consider the problem of how to encourage the development of African children’s literature. In a Facebook group for Bryn Mawr students and alumnae/i interested in African issues, Ahenkorah met Ramatoulaye Diallo Shagaya ’98, a Harvard MBA who had worked in a nonprofit that supported entrepreneurs in emerging markets and knew her way around a business plan. Ahenkorah floated her idea of a literary contest to encourage the creation of children’s literature by Africans. Shagaya found it promising enough to agree to serve as Ahenkorah’s field supervisor for a Bryn Mawr-funded international internship in the summer of 2008. Ahenkorah spent most of that summer working from an Internet cafe in Accra to establish the Golden Baobab Prize. She communicated with Shagaya, who was in South Africa at the time, via email and Skype. Shagaya helped her develop her ideas and donated funds toward the prize money that was awarded in the contest’s first year. During the summer, Ahenkorah created a web site for the project, recruited established African literary figures to serve as judges, and worked feverishly to publicize it throughout the continent. When she returned to Bryn Mawr as a junior in the fall of 2008, Ahenkorah had every reason to take pride in the work she had done, but she realized that the work was just beginning. She continued to spend hours every week on the project – spreading the word through social media and traditional media outlets, recruiting volunteers, soliciting funds, and administering the award. That year, Maya Ajmera ’89, the founder of the Global Fund for Children, served as a Hepburn Fellow at the College’s Katharine Houghton Hepburn Center. The Global Fund, which received Echoing Green funding early in its history, make small grants to innovative community-based organizations working with some of the world’s most vulnerable children and youth. The organization helps fund its grants with royalties from a publishing program that, through children’s books, documentary photography and film, highlights the issues affecting children and celebrates global diversity. Ahenkorah successfully applied for a Hepburn Internship, with Ajmera as her mentor. She spent the summer at the GFC’s offices in Washington, D.C., where she researched models for publishing partnerships for the organization’s media arm. Since her graduation in 2010, Ahenkorah has taken on the development of the Golden Baobab Prize as a full-time job. Ahenkorah cites two awards she won as a senior — Bryn Mawr’s Commonwealth of Africa Scholarship and Mary Patterson McPherson Award — as key factors enabling her to pursue the work. The Golden Baobab Prize has also received funding from Ajmera’s Global Fund for Children, and it was Ajmera who contacted Ahenkorah and urged her to apply for the Echoing Green Fellowship. “From the beginning, my friends have been around, chipping in wherever it’s necessary,” she says. Of four or five core volunteers who keep the project running, three are Bryn Mawr women; many more have pitched in in a pinch. The Echoing Green funding gives her an opportunity to extend the organization’s reach in important ways. “A fellowship like this is really an open door. It confers legitimacy and a lot of opportunities,” she says. “There’s still a lot of pounding the pavement, recognizing opportunities and chasing after them,” she notes, but the fellowship will offer a bit of breathing room and a chance to plan for the future. She hopes to be able to delegate some of the day-to-day operations of the organization to pursue strategic goals. Meanwhile, she’s still got a program to run — recruiting readers and judges, raising money, and yes, publicizing the contest. The deadline for submissions to this year’s Golden Baobab Prize is June 21, 2011.